As many of you know, we began this week our Lenten study series, Anglican 101. We had a great turnout at both our Tuesday and Wednesday sessions. While many attended, some were not able to join us for various reasons. All are welcome to our next session, offered again next week on Tuesday at 10:00 a.m. and Wednesday at 7:00 p.m. Each week I will post an overview of our discussion to help you share more fully in our time together. 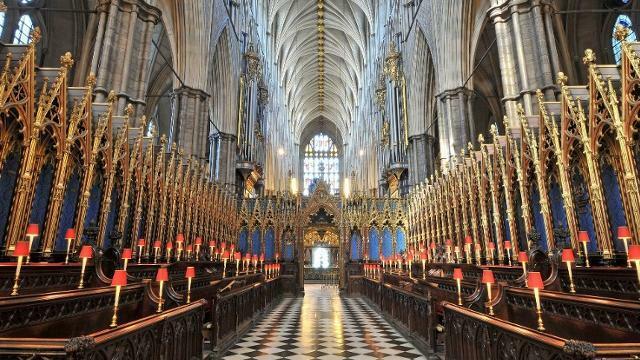 Henry VIII: Founder of the Anglican Church? We launched our series with an overview of our denomination’s history. I began our discussion this week with a question: when did the Anglican Church begin? As I suspected, each group identified Henry VIII’s break with the Church of Rome as the beginning of the church. The response didn’t surprise me. Popularly speaking, most of us locate our church’s beginnings with Henry’s defiance of Rome. Henry, we learn in our history lessons, wanted to annul his marriage with Catherine of Aragon but the pope refused, leaving Henry with no choice but to establish himself as head of the Church in England. Unfortunately, this is a rather simplistic overview of our church’s beginnings. The seeds that gave birth to an independent English church were planted long before Henry. One could almost argue they were sown at the very dawn of Christianity to the British Isles. Evidence suggests that Christianity first developed in the region in the late fourth century. Unlike other missions, the Christian communities that dotted the isles were centred around monasteries and not cathedrals. Furthermore, Christianity was shaped and formed by Celtic influences. Thus the Christianity of the British Isles took on a distinctive form and shape than the Christianity of continental Europe. Easter, for example, was celebrated on a different date than what was customary in Rome. By the end of the sixth century, Irish missionaries were traveling across the isles and continental Europe on missionary expeditions. Yet Christianity had yet to take root in other regions of the isles, namely the English south. As such, Pope Gregory the Great commissioned a Benedictine monk by the name of Augustine to travel to the isles to convert the remaining pagans and bring the churches into conformity with Roman practice and custom. According to Venerable Bede, one of the earliest historians of the English peoples and of the English church, Augustine’s efforts to align Christians with Roman practice were not always well received. It would be many decades before Christians would celebrate Easter according to Roman practice. Often the implementation of the date of Easter was imposed on peoples by force by kings and military might. The earliest seeds of the English Reformation were planted in this period, with the very resistance to Roman influence over the life of the English church. As the English kings grew in power and might and slowly took control of larger parts of the British Isles, they questioned the power of the Church. The Church was a mighty force throughout Europe and in England. Monasteries attained great wealth and bishops often inherited greater wealth than many nobles. Kings were threatened by the influence of the bishops, particularly the Archbishop of Canterbury. The well-know story of St. Thomas Becket illustrates the conflict between the Church and the kings of England. Originally a close ally of King Henry II, Thomas served as the king’s chancellor until his election and consecration as the Archbishop of Canterbury. Despite Henry’s hopes that Thomas would subject the Church to the king’s might, Thomas instead defended the rights and privileges of the Church. Given the Church’s tremendous temporal and religious power, Thomas’ actions proved too much for the king. In the end, Henry II ordered the death of Thomas. Thomas was murdered in Canterbury Cathedral. Although scholars contend many of the details of Thomas’ martyrdom, his death reminds us that well before Henry VIII, English kings were determined to exercise supreme control of the Church within their realm. And the English kings were not alone in their quest for authority over the Church. Other kings exercised varying degrees of authority over the Church, often appointing bishops to major dioceses. The conditions for the English Reformation were just about set by the end of the 15th century. In addition to the distinctive character and diversity of Christianity throughout the British Isles and the monarchy’s desire for control of the Church, early reform movements revealed a growing desire to renew people’s faith life. John Wycliffe was one of the earliest of English reformers. He firmly believed the Bible to be the source of all Christian teaching. He challenged the importance of popes and monasteries in the life of the Church. Although Wycliffe died of a stroke, a later Church council declared him a heretic and had his remains removed from consecrated ground and burned. Despite attempts to quell any reform movement, many felt it was time for the Church to return to the Gospel. Tragically, few bishops listened. Scandals plagued the Church, with priests, bishops, and even popes abusing their authority and committing great abuses. Many clergy lacked fundamental education and often were incapable of ministering to their people. Matters turned for the worse in the early sixteenth century. Certain friars took advantage of the practice of indulgences. At that time Christians believed in purgatory, a place where one would go after death if a person wasn’t completely purified of sin. Although assured of the promise of heaven, many Christians believed those in purgatory suffered tremendous punishments for great lengths of time. Many hoped to minimize their time in purgatory, if not altogether avoid going there. To help Christians avoid purgatory or any punishment for their sins, popes would grant an indulgence, or remission of punishment, if a person performed certain penitential acts and went to confession. Some clergy took advantage of people’s fear of purgatory and hell. Instead, they proposed a person could buy an indulgence. People soon turned to buying indulgences for their hope of salvation. A young German monk by the name of Martin Luther learned of the selling of indulgences and renounced the practice. Luther argued we could do nothing to achieve our salvation. Instead, Christ has won for us our salvation by his death and resurrection. A Christian simply needs to have faith in Christ and trust in his promises. Despite Church leaders’ attempts to stop Luther, Luther’s message quickly spread throughout Europe. To his great fortune, Gutenberg’s invention of the printing press made it possible for pamphlets and books to be quickly printed and disseminated. Luther’s reform quickly launched and he won many to his cause. Luther’s reforms, however, were met with strong opposition back in England. There a young and ambitious king by the name of Henry VIII was assuming great power. While evidence suggests he was a man of great faith and learning, Henry likely feared the political instability caused by the German Reformation. Henry wrote a defence of the sacraments and the ministry of the popes. Pope Leo X, the Bishop of Rome at the time, rewarded Henry for his work and granted him the title, Defender of the Faith, a title that Queen Elizabeth II continues to hold to our own day. Within a short time, however, Henry VIII found himself embroiled in controversy. His marriage to Catherine of Aragon was in turmoil. Henry believed his wife was incapable of bearing him a male heir. This not only endangered his lineage but also the relative peace of the kingdom. Were he to die without a male heir, his successor could be contested. Henry sought to annul his marriage to Catherine of Aragon. He appealed to Pope Clement VII but was not granted an annulment. In part because the pope had granted permission for Henry to marry Catherine in the first place and the pope further feared political turmoil with European kingdoms aligned with Catherine. Unbeknownst to the pope, Henry appointed Ann Boleyn’s confidant, Thomas Cranmer, as the Archbishop of Canterbury. The pope confirmed the appointment only to later learn that Cranmer defended the annulment of Henry’s marriage to Catherine. Soon Henry declared himself the head of the Church of England; in turn, the pope excommunicated Henry, the once renowned Defender of the Faith. Despite Henry’s new role as the head of the Church of England, there were few drastic changes in the life of most Christians. Certain parts of public worship were translated into English and certain “Catholic” practices abolished. Some reformers were critical of Henry and Cranmer for not doing more. Henry remained thoroughly Catholic to the end. He did, however, abolish monasteries and assumed the monasteries’ property as his own. Following Henry’s death, the English reformers, under the leadership of Thomas Cranmer, quickly went to work in reforming the English Church. Yet many reformers remained less than satisfied with Cranmer’s reforms. Still others believed Cranmer had gone too far. Although Cranmer embraced many reforms, such as the reading of scripture and abolishment of clerical celibacy, he continued certain Catholic practices. For example, his first edition of the Book of Common Prayer in 1549 still named the celebration of Eucharist as the service of Holy Communion, commonly called the Mass. Later editions abolished the term Mass and simply refer to the liturgy as the Lord’s Supper. In many places, clergy continued to wear vestments, despite the desire of reformers for more simple attire, often consisting of a black cassock, white surplice and preaching scarf. The Church is one for we are united in one Lord, one Body, the Body of Christ. The Church is holy because Christ is holy. And the Church is catholic, because its mission is broad, universal, and far-reaching. Finally, the Church is apostolic, as it continues to proclaim Christ’s teaching as handed down to us by the Apostles. However, the word catholic carried another meaning for the Reformers. It was a term used to describe external appearances, teachings, and practices as one would find in the Church of Rome. Incense, vestments, and statues were all perceived to be catholic customs. Reformers opposed such practices as they considered them to be non-biblical. Furthermore, any teaching considered Roman was considered suspect, if not wrong, such as belief in the real presence of Christ in the Eucharist. Many Reformers insisted the Eucharist to be a memorial, whereas those on the more “catholic” side maintained an understanding of the Eucharist as the real presence of Christ. For centuries the Church of England would be torn between those on either side of the catholic and reformed debate. At times, the conflict between the two positions would be violent and deadly. Interesting enough, the Church of England, unlike its fellow Catholic and Lutheran churches, did not establish a formal catechism or definitive church teaching. Instead, the foundations of the church’s teachings were the Bible, the apostolic creeds, and the Book of Common Prayer, which included the 39 Articles affirming the same. In a way, the church’s lack of a clearly defined authoritative teaching has been both a blessing and a curse. A blessing in that the church allows for a wide range of theological opinion. A curse in that a lack of clear teaching has led to some division in the Anglican Communion today. The challenge for the Anglican Communion today is to hold a prayerful unity and respect for dialogue among those of differing opinion. Fortunately, another position has been proposed over time, otherwise known as the via mediaor middle way. That position argues the Anglican Church to be both catholic and reformed. Although, as we shall discover next week, there are critics of even this position. The issues that gave rise to the Church of England continue to challenge the Church today. Can the Church welcome diversity of theological opinion, discipline, and practice and still remain united as one? Who, or what, serves as the ultimate authority in interpreting the Bible and guidance of the Church? The Archbishop of Canterbury? The primates of the national churches? Bishops of local dioceses? These are the questions facing the Anglican Communion today. Interesting enough, they are also the very issues facing many other Christian churches, such as the Roman, Lutheran, and United churches.